Travel Indaba 2011 – Best in Show? I have walked my legs off trying to get around the gargantuan 2011 Travel Indaba show in Durban this weekend. Specifically a trade-only show this exhibition gathers together the who’s who of the travel industry from all over the world in an effort to best promote South African tourism. I am hugely fortunate and indebted to Chris Wood of Maplanga Africa who kindly sponsored me an entrance pass to get into the show in order to qualify for some free Tuskers Lager and also do some networking and marketing of my own with the many lodge and hotel owners gathered here. 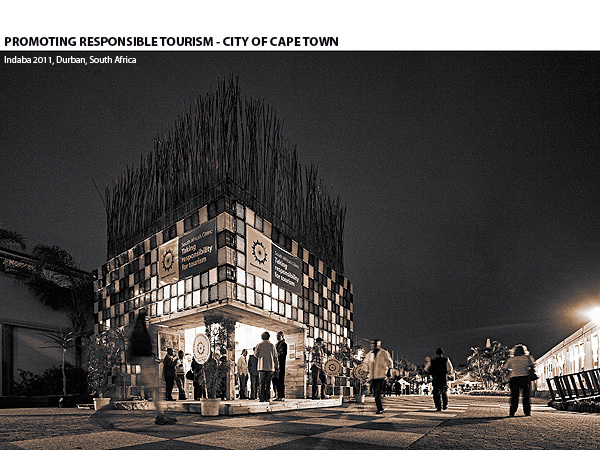 Having walked my legs off to the knees I have decided my ‘Best Stand Award’ undoubtedly goes to the ‘Responsible Tourism’ exhibit by the City of Cape Town. With an extensive architectural background myself in mega-project sustainability and design & development I am more than wowed by this concept and the forward-thinking nature of this very beautiful city. 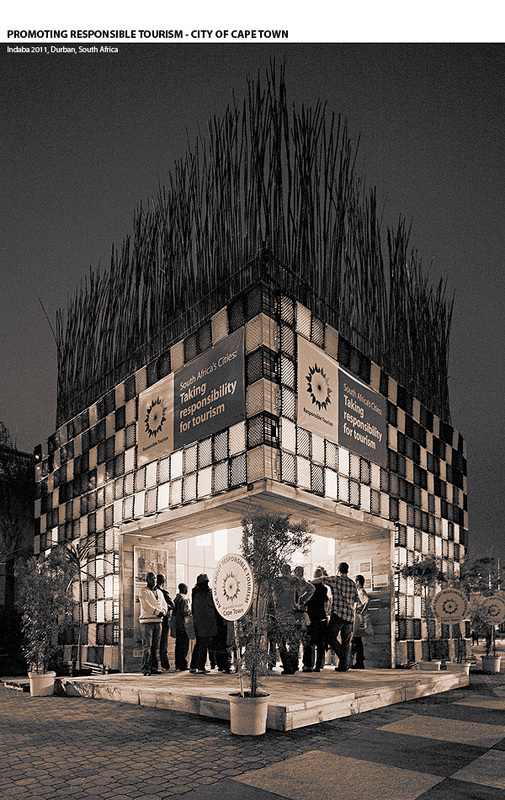 Their high-impact exhibition stand, built out of old plastic crates & filled with empty plastic milk cartons, is architecturally-speaking a marvel unto itself. It’s not often in today’s world, living in Africa, that one is wowed by the ingenuity of people on this scale and it’s perhaps not since my travels to see all the FIFA World Cup stadiums for the first time that I’ve felt so pleased and inspired to be South African. 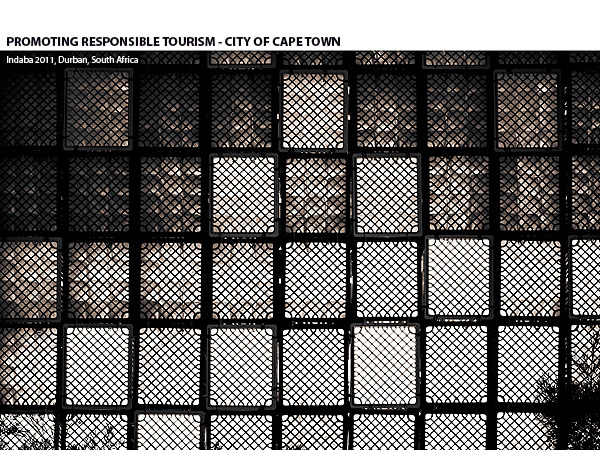 Well done ST&AR Architects for the conceptual design and the City of Cape Town for the foresight and ambition of becoming a world-leader in responsible tourism! woweeee- agree with you Dennis- that is magnificent- visually brilliant, and morally sound! not bad photography either- loving the way you keep raising your consistently high standards!